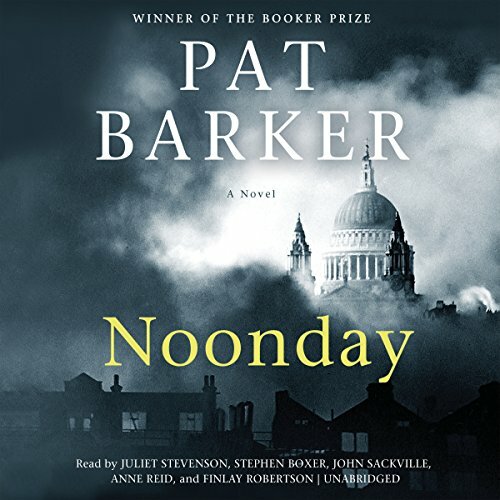 A new novel from the Booker Prize-winning Pat Barker, author of the Regeneration trilogy, that unforgettably portrays London during the Blitz and reaffirms her place as a top-ranked British novelist. London, the Blitz, autumn 1940. As the bombs fall on the blacked-out city, ambulance driver Elinor Brooke races from bomb sites to hospitals in order to save the lives of injured survivors. She works alongside former friend Kit Neville while her husband, Paul Tarrant, works as an air-raid warden. Once fellow students at the Slade School of Fine Art before the First World War destroyed the hopes of their generation, they now find themselves caught in another war, this time at home. As the bombing intensifies, the constant risk of death makes all three reach out for quick consolation. And into their midst comes the spirit medium Bertha Mason, grotesque and unforgettable, whose ability to make contact with the deceased finds vastly increased demand as death rains down from the skies. Old loves and obsessions resurface until Elinor is brought face to face with an almost impossible choice. Completing the story that began with Life Class and continued with Toby's Room, Noonday is both a standalone novel and the climax of a trilogy. Writing about the Second World War for the first time, Pat Barker brings the besieged and haunted city of London into electrifying life in her most powerful novel since the Regeneration trilogy. ©2016 Pat Barker (P)2016 Blackstone Audio, Inc. This book is beautifully written, a powerfully evocative portrayal of life on the homefront in WW2. I really enjoyed the listen and found it educational and thought provoking .....BUT...I couldn't believe it had ended. I thought I must have skipped to the end by accident, leaving out a few key chapters. I felt that there were too many loose ends ..and characters that seemed to have had no purpose /resolution. ...but i wonder retrospectively if this was because I had not read the earlier 2 books. I am going to give the earlier books a read...and will be interested to hear what others think.